For those in the government contracting industry, sequestration may have introduced these panic-inducing thoughts: “What happens if this company has no use for my services or can no longer afford to pay my salary? How can my professional experiences translate into any other market?” And so the search for parallels between government proposals and the rest of the world began … just in case. Fiscal year 2013 is only one of numerous examples proving the federal budget process is broken.3 The current administration recently proposed an increase of $54 billion in defense spending while taking an equal decrease in all non-defense discretionary spending. This would leave the Department of Defense and entitlement programs as the only funded and functioning entities in the government. If you were a government contractor in 2013 and have yet to diversify into the commercial sector, you were not paying close enough attention. Political pressure to reduce government spending will continue to challenge government contractors, causing a trickle-down effect to resources within organizations. Government proposal consultants are critical in helping government contracting organizations sustain their revenue. These consultants can be responsible for anything from responding to a simple request for information to serving as a solution architect for a multimillion-dollar request for proposal. However, government proposal consultants can work only if there is an RFP on the street. They are constantly caught in the middle of varying acquisition trends, more similar to an Agile sprint cycle than a consistent state of work. An increase in opportunities being “pushed right” or canceled in their entirety (even after being awarded). Gaining traction of the multiple-award trend. A rise in proposal protests. A state of ever-revolving doors of new budgets, priorities, regulations, and administrations. With these factors in mind, government proposal consultants should start developing some risk mitigation strategies to ensure that companies always have use for their services. It would behoove them to think creatively and leverage their expertise in adjacent markets. The government proposal consultants’ skill set can translate and expand into the evolving and dynamic commercial industry, including the business-to-business and business-to-consumer markets. It’s easy to make a case for differentiating your client base. An average Standard & Poor’s 500 index company earns about an 8.5 percent profit margin4, while most average government contractors work on about a 5 percent profit margin.5 To put it simply, higher profit means a greater ability to outsource expertise—and the commercial industry has the money and the need. Comparing public and private procurement, as well as the B2G, B2B, and B2C markets, is not entirely fair as they vary in processes and procedures. There are differences in budgets, management, and the RFPs. However, all three acronyms can be replaced with just one: human-to-human, or H2H. Government proposal consultants are the best to face H2H selling processes head-on, because they are already practiced in the most difficult H2H selling process there is—the one with the most red tape. The challenge in marketing and selling H2H is finding, understanding, and explaining the complex in its most simplistic form. Government proposal consultants are experts in ensuring a response is written directly to address the thoughts, needs, and concerns of various stakeholders, while also being mindful of compliance requirements and strict directions. These two factors are just as important in B2B and B2C selling. With the distorted lines in today’s globalized economy, government proposal consultants are able to assist, augment, and optimize any sales department by offering a creative and problem-solving mindset, coupled with the ability to bring structure and procedures to a chaotic environment. 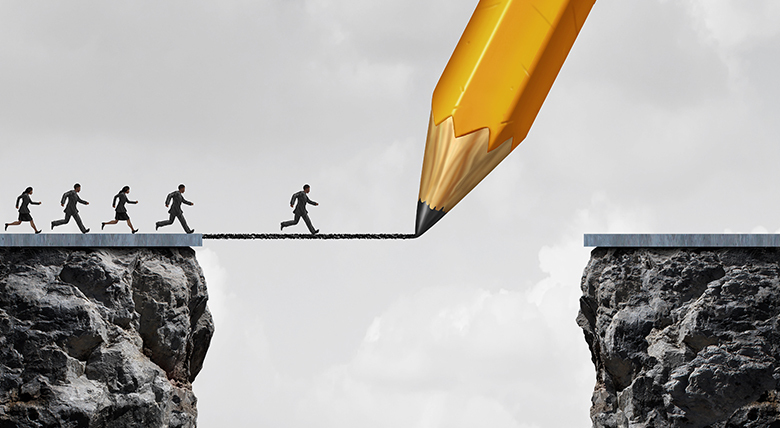 It is worth the legwork for government proposal consultants to step outside of their comfort zone, rather than pursuing only organizations that are strictly in the government contracting game—and the H2H industry will benefit. Booming commercial, public sector, and B2B markets include legal, banking/finance, insurance, lottery/gaming, staffing, health care, food service, consumer products, construction management, and architect-engineering. Within these markets, there is a whole world outside of the technical, management, and past performance volumes. If you break down the similarities and differences between the B2C, B2B, and B2G markets, you will notice that the B2C and B2B markets have increased discretionary purchases. This fluidity of discretionary purchases would allow for government proposal consultants to supplement their pipeline of job opportunities when the B2G market is holding. Government proposal consultants are able to easily adapt to and augment H2H sales offices because each transaction takes time and thorough consideration, and the outcome depends on decision makers similar to Source Selection Committees. For instance, B2B selling requires strategic planning, and it is driven by a complex, formal purchase decision-making process similar to the B2G acquisition cycle. Most businesses’ formal purchasing process includes procedures for requests, approvals, procurement, and payment. Is this sounding familiar yet? It is worth the legwork for government proposal consultants to step outside of their comfort zone, rather than pursuing only organizations that are strictly in the government contracting game. Government proposal consultants can add value by providing focused sales enablement. They can effectively support the sales funnel, a critical function in H2H selling, in developing content, stories, and messaging. They can help a sales department be more responsive while participating in the part of the proposals that is often discouraged in the red tape world—being creative and strategic. Here are some ideas on how government proposal consultants can support the three main cycles of the H2H procurement process: the requirements and pre-award; the post-RFP process; and the award and post-award process. Conduct and Respond to Market Research: Government proposal consultants have the ability to analyze, break down, and respond to these requests at the rapid rate that is required in the commercial world. They can respond within the set parameters while beating the clock and making a compelling argument for the client. Create the Request for Proposal: Nineteen percent of a sales professional’s day is spent on administrative tasks—that’s almost 50 days a year.6 Those tasks include the creation of RFPs. While the creation of an RFP and the resulting implementation can be time-consuming and taxing on internal staff, when it’s done well, a company can reap the benefits. Government proposal consultants can help a sales department develop a thorough and strategically designed RFP, providing the company insight from a subject matter expert and allowing the sales professionals to get back to doing what they love—selling. Support Strategy Sessions and Competitive Black Hats: In all H2H selling, there are several stakeholders in the purchasing process, including those that influence, recommend, and have authority to order a purchase. In B2G, B2B, and B2C markets, it is critical that offerors fully understand the needs of the organization to which they are selling, as well as the organization’s buying processes and stakeholders. A comprehensive strategy session in the commercial market can be compared to the critical nature of a B2G Black Hat, PWin session, and gate review when pursuing a tactical opportunity. Government proposal consultants are experienced in not only running these sessions but also actively participating, to confirm understanding and identify gaps in order to ensure the foundation of a strategic pursuit. Studies have proven that better profit outcomes were achieved when bid planning started up to six months before an RFP was released; so consultants should market their ability to help organizations not only formally qualify an opportunity but also create a higher win probability. Does not identify the buyer’s situation or grasp the buyer’s needs and objectives. Makes only sweeping money-making or -saving statements. Does not provide details on production, implementation, installation, etc. Does not openly identify roles and responsibilities of both the buyer and the seller. Forces the buyer to guesstimate total fees. In the B2G world, when the only way you get new business is by responding to RFPs, it’s easier to accept that you must invest in your sales department if you want to win. For a government contractor, the relationship with the customer is often second (unfortunately) to the regulated process in determining who will win. You can have an excellent client relationship and lose because you weren’t compliant. In the B2B and B2C markets, the relationship is often more important than the proposal. Because of the time, effort, and administrative costs required, many sales professionals do not focus on creating a quality error-free proposal. In fact, only 47 percent of best-in-class sales organizations have processes to streamline proposal quotes and contract workflows.8 As many organizations have learned, if you don’t put enough emphasis on your proposal, you have a weakness in your closing process. And that’s not where you want to be weak. Government proposal consultants can empower a sales organization to not only respond compliantly and rapidly to a commercial RFP but also create the powerful content needed to convey the value that an offeror brings to the buyer. Assist in Oral Training or Oral Presentation: The government’s use of oral presentations as part of the proposal process rises and falls depending on the current philosophy, but their use in the commercial world is an everyday occurrence. Government proposal consultants skilled in oral presentations are able to objectively train professionals that it is not about how you look or speak—it is about meeting the intangible objectives of the buyer. Evaluate the Submitted Bids: Today’s competitive demands require that the procurement process be accomplished in a capable, unbiased, and professional manner. A purchase can stand or fall on the expertise and performance of a purchasing manager or buyer who is striving to obtain a good or service at the best overall value. Although it isn’t explicitly applicable in commercial procurement, government proposal consultants’ vast knowledge of the Federal Acquisition Regulation can offer an experienced, compliant, and objective viewpoint, to make an unbiased evaluation of submitted bids. Government proposal consultants are crucial to helping a government contracting organization maintain its revenue. But factors such as the multiple-award trend, proposal protests, and the ever-revolving doors of new budgets, priorities, and regulations will affect their livelihood unless they think outside the box and diversify into the commercial market. Amber Hart is a senior proposal and marketing specialist at AOC Key Solutions Inc. She can be reached at 703-407-0147 or ahart@aockeysolutions.com. Jennifer Liberto. “Spending Cuts Are Hurting Economy.” CNN Money, 18 Oct. 2013, money.cnn.com/2013/10/18/news/economy/sequester-economy-shutdown/. William Welsh. “Government Contractors Feel Pain from Shutdown, Sequestration.” InformationWeek, 23 Dec. 2013, informationweek.com/government/big-data-analytics/government-contractors-feel-pain-from-shutdown-sequestration/d/d-id/1113248. National Contract Management Association. Annual Review of Government Contracting, 2016, ncmahq.org/docs/default-source/default-document-library/pdfs/exec16—book—annual-review-of-government-contracting_lowres. Edward Yardeni & Joe Abbott. Stock Market Briefing: S&P 500 Sectors & Industries Profit Margins, Yardeni Research, 2017, yardeni.com/pub/sp500margin.pdf. Grant Thorton. 2015 Government Contractor Survey, grantthornton.com/~/media/content-page-files/public-sector/pdfs/surveys/2015/Gov-Contractor-Survey.ashx. Fergal Glynn. “The State of Sales Productivity in 2015.” Salesforce, 13 Jan. 2015, salesforce.com/blog/2015/01/state-sales-productivity-infographic-gp.html. Smith, J. (2016, March). Best Practices in Bid Management: A Cross-Industry Global Survey. Retrieved from http://www.jnsbusinessdevelopment.com.au/global_best_practices_in_bid_management.pdf. Moravick. The B2B Business / Customer Arc: Crafting Keystones from Marketing & Sales, May 2016, v1.aberdeen.com/launch/report/research_report/12508-RR-Business-Customer-Arc.asp.